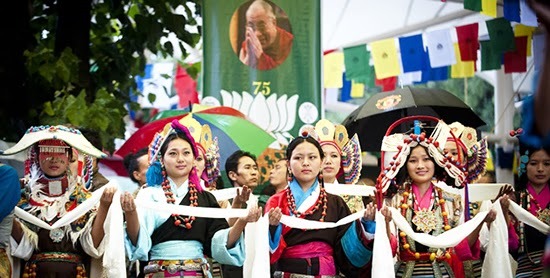 His Holiness the Dalai Lama’s 79th Birthday anniversary (Trungkar) was celebrated on 6th July with great joy and jubilation. In the morning, incense-burning and longevity prayer were held in the school hall followed by the function. Students from hostels and homes with their home mother, matrons and warden flung new prayer flags near the stupa early in the morning. This was a special occasion for all the Tibetans living in and outside Tibet to celebrate the birth anniversary of HH the Dalai Lama. After the official gathering and function, basket ball and football matches were arrangement between the staff and student teams. The result couldn’t be announced on July 6, 2013 due to heavy downpour and on Tuesday during the morning assembly, the winners were awarded by the assistant head.